The kitchen is the most vital place on Earth, because survival, even now in the age of iPads and large hadron colliders, still depends on wholesome, nutritious food. In keeping with this simple truth Veggiyana provides 108 tasty, beloved and simple recipes from around the world. And generously sprinkled throughout--like the perfect blend of herbs and spices are morsels of time-tested wisdom on how to live a life that nourishes both body and spirit. Veggiyana brings the vitality of the worlds kitchens to your own with wisdom and recipes to delight and inspire. Sandra Garson continues exploring food wisdom, cooking and practicing Dharma. She recently taught cooking at a Buddhist center in Ulan Baator, Mongolia. Her book How to Fix a Leek and Other Food from Your Farmers' Market is now available as a Kindle ebook. She is President of the US charity, Veggiyana, dedicating to feeding Buddhist sangha. Her next project is Nana Letscook, the kitchen genie who teaches the magic of food to kids. Michelle Antonisse, illustrator, is an artist living in Los Angeles and an educator at the Museum of Contemporary Art. Her previous illustration work includes Veggiyana: The Dharma of Cooking (Wisdom Publications, 2011). "With recipes from around the world and quotes from Buddhist masters, chefs, food historians and celebrities, this book is enjoyable, informative and offers hours of guided cooking meditations." "Pure and simple ingredients, brilliantly easy recipes and a liberal serving of Dharma will nourish the body of wisdom well past mealtime." "This is one beautiful book! 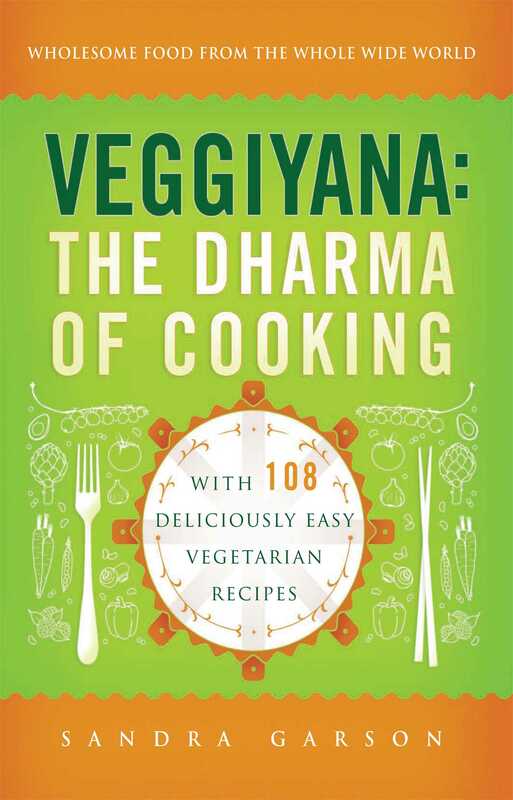 Veggiyana is a book to be treasured, living as it will in my kitchen and in my heart." "Veggiyana pleases the palate, and nourishes our Dharma practice." "In order to have comfort, happiness, and a long life in this human body, we need to eat good food that is healthful and nourishing, and we must learn to eat with wisdom--and in Veggiyana, Sandra Garson shows us how to do this." "The recipes are wholesome, nutritious, simple and express the author's premise that fueling the body with the right foods are the keys to a healthy mind and body." "Sandy she has written a love letter to centuries of culinary innovation and tradition." "I do recommend this book, especially for those who already have a number of cookbooks. With its mixture of narratives and foreign recipes, this cookbook is unlike any others I've seen."